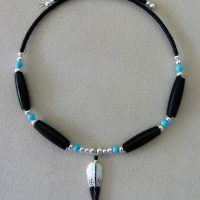 This Bone Bead Choker is ‘Navajo’ Indian made, the center Feather is hand carved and painted making it a great feature. 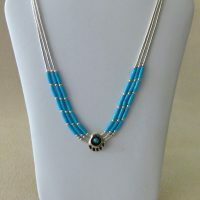 Embellished with Silver and Turquoise beads on wire adjusting to the size of your neck. 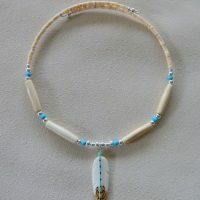 This 3 Tier Bone Bead Choker is ‘Navajo’ Indian made, the center Feather is hand carved and painted making it a great feature. 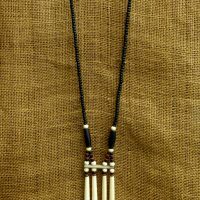 Featuring – 4 x 3″ Bone Pipes, Horn Pipe, Bone, Glass & Horn Beads. 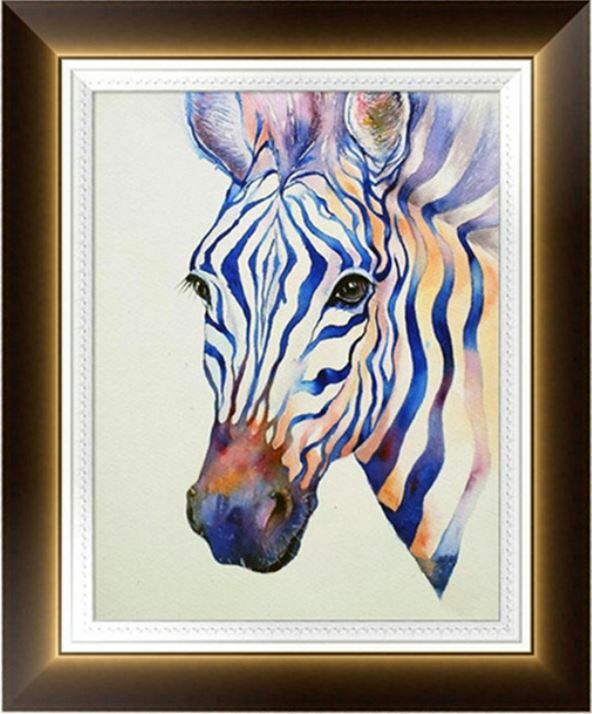 Click on image to view full photo. 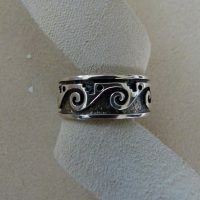 Sorry this ring is not Indian made but is still a very nice solid ring. 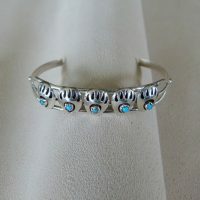 It is Sterling Silver and made in Thailand. 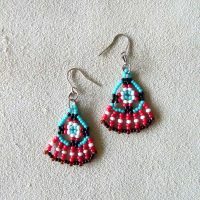 These delicate Earrings beaded with tiny Delica Glass Beads depict a Dreamcatcher. 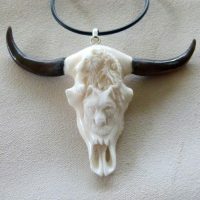 Complimenting the Bear Paw Necklace. 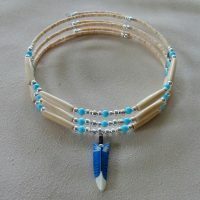 This Traditional Bone Bead Choker is made by ‘Winterhawk Spirit’. 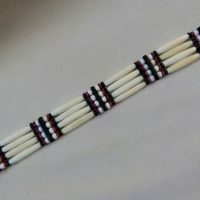 If you would like a particular colour contrast bead with the Bone Pipe Beads send us a message using our contact page, featured photo is classed as Red. 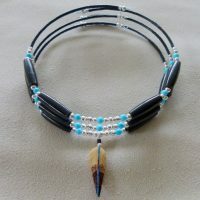 This Traditional Bone Bead Choker is made by Winterhawk Spirit, the center disc is hand cut from a Bull Horn, shaped and polished making it a great feature. 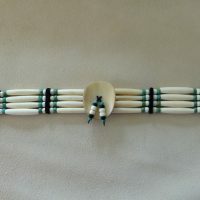 If you would like a particular colour contrast bead with the Bone Pipe Beads send us a message using our contact page, featured photo is classed as Turquoise.